PORTLAND, Ore. (KOIN 6) — A chef with experience in some of the finest kitchens walked away from her job to cook for local kids — and it turns out, she has the secret ingredient they need. “This is actually going to be a new food for the kids,” Betty Brain, known as “Chef Betty”, told KOIN 6 News as she prepared lasagna, chicken, fresh fruit and greens for kids at the Blazer’s Boys and Girls Club on NE MLK Jr. Boulevard. Chef Betty is part greeter, part traffic cop and part teacher. She’s all about good manners. “I love the way my kids act in here,” Chef Betty said. The Boys and Girls Club fills up quick once school gets out on weekdays. It’s a place for them to go and get a good meal. Chef Betty said she spent decades in fine dining, but she wanted to give back. But she did. She cooks for 100-200 kids a day with whatever ingredients she gets from the Oregon Food Bank. “They needed not only my food, but the fact that I’m old-fashioned,” Chef Betty said. She insists the kids sit down for a nice meal when they come to the Boys and Girls Club, just as a family would. It’s the reason she’s constantly setting up and breaking down tables. 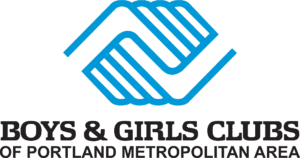 Thousands of kids in the Portland area take advantage of the affordable after-school programs provided by the Boys and Girls Club.